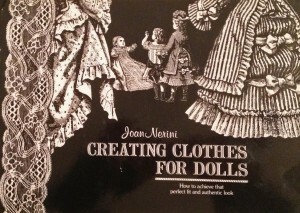 This is primarily a book on making antique doll clothes, but its techniques can be adapted for other kinds of dolls, such as Barbie, or Gene and Tyler. It covers a lot of ground, everything from choosing fabrics that look authentic, to fitting a pattern to your doll, to sewing piping and decorative edgings. This book is quite thorough. First, it teaches you how to measure your doll, then it demonstrates how to adjust your patterns to fit the doll properly. This is a large section of the book and it covers altering bodices, jackets, sleeves, collars, skirts, trousers, and hats or bonnets. The next section is on basic sewing techniques, but geared toward doll clothes. 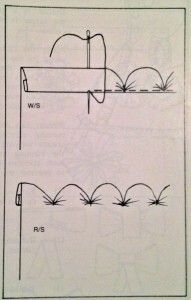 How to make pleats, gathers, and tucks. How to use pins effectively. How to finish your seams and how to press them. How to cut fabric on the bias and bind a neckline. How to finish skirt openings so there are no raw edges. How to sew miniature piping. How to make decorative edges, like fagoting, scallops, and shell-tucks. How to gather and ruche ribbon, make rosettes and bows. How to do basic embroidery (chain stitch, feather stitch, herringbone stitch, and French knots). 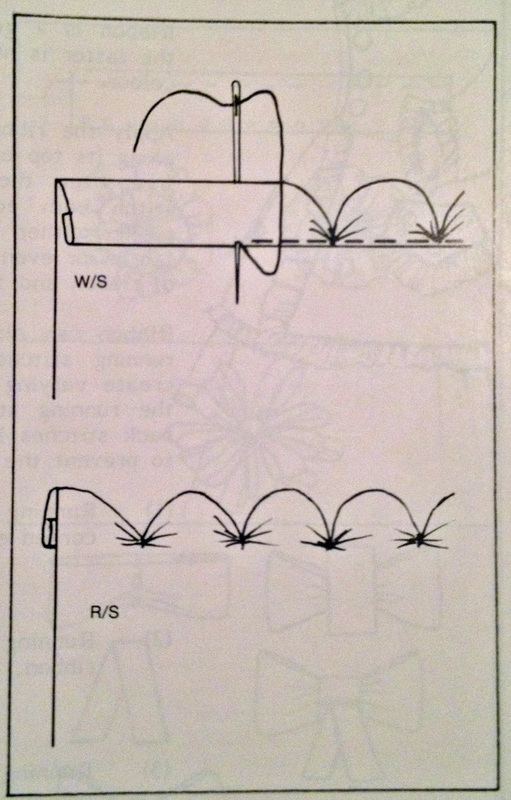 Some areas are rushed through, such as the section on seam finishing, but most of these are basic techniques you can learn from any sewing book. What I strongly disliked was the author’s suggestion to cut up antique clothing to use in making “authentic” doll clothes. To me, this very idea is obscene! I could see scavenging lace, buttons, and trim from an antique garment that’s damaged beyond repair, perhaps even using some of its fabric or lining. But to take a perfectly good Victorian dress and cut it up to use for doll clothes—are you kidding me? Despite the author’s advice to ruin antique clothing, this book is one I would highly recommend if you’re interested in sewing doll clothes, especially if you want to make period costumes. If you’re already an accomplished dressmaker, you may not need much of what’s taught in this book, such as fitting, or hand sewing techniques, but you’ll probably still glean some useful information specific to sewing doll clothes. Have you read this book? What did you learn from it? 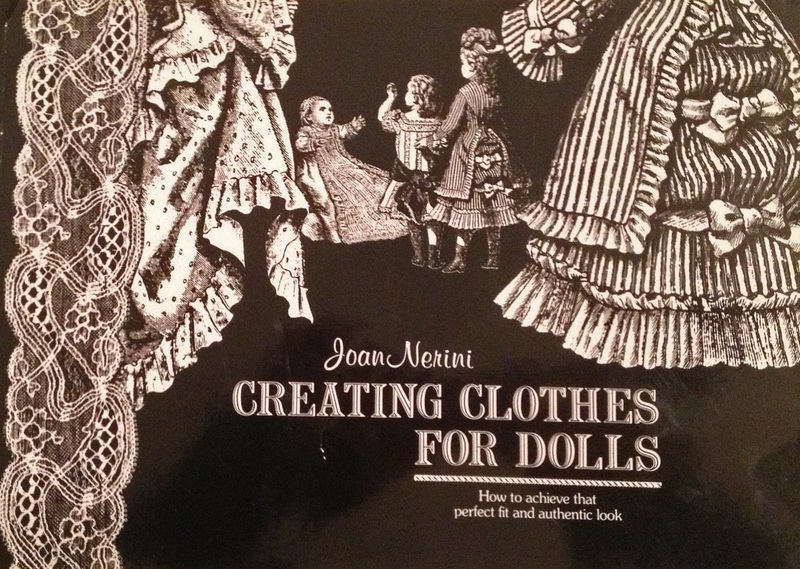 What other books would you recommend for those interested in learning how to sew doll clothes?